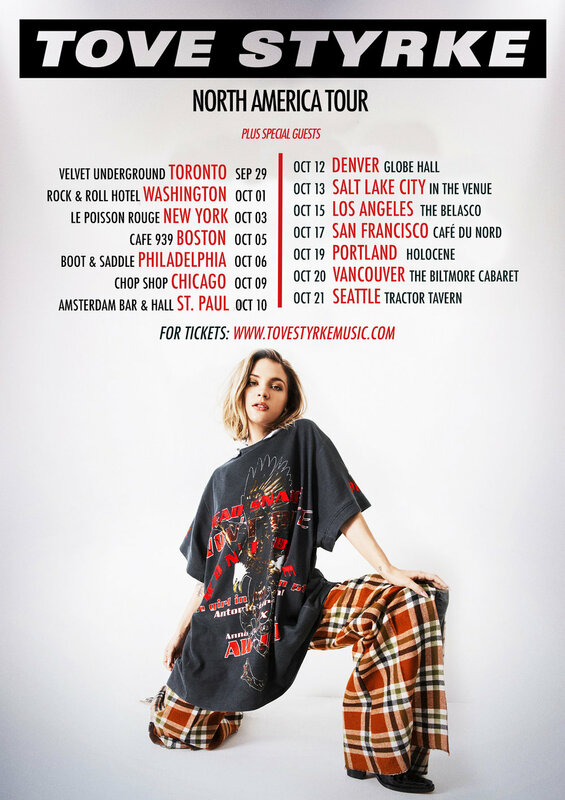 You know we’re big fans of Tove Styrke here at Honey Punch. Back in May, we ranted and raved about her incredible new album, Sway. Bop after bop made their way into our summer playlists. And now, we’re losing our minds because Tove is FINALLY launching on her US headlining tour! Just a few days before she left for her first show, we caught up with Tove to talk about her music, her style, and of course Rihanna. Here’s a list of the four biggest things we learned. She’s REALLY excited about this tour (like, really really). 3. She’s put a LOT of thought into what she wants her music to represent. 4. She’s (hopefully!) releasing more music this year. Back in May when Sway was first released, Tove suggested to Billboard that there “might” be more music on the way in 2018. Since then, she’s released “Been There Done That” with NOTD and “Stuck” with Lost Kings. But, that’s not the end of what Tove has in store for 2018. “If I can get everything done before leaving on tour, there should be more this year!” she says. “I like to work on my albums from home. I just can’t get in the zone when I try to travel and work on music. I wanna work at my own pace, and that’s just easier to do from home.” Given the success of her newest round of music, we really can’t argue with that method. Just a few hours after our call, Clean Bandit announced their new album’s tracklist, which features Tove on “Last Goodbye”. So, is there even MORE we can expect from 2018? I guess we’ll just have to wait and see. Until then, go see Tove on her North American Tour and stream Sway now!